The last 2 months have been a really amazing and difficult experience for me. Settling into a new job and role is a challenge at the best of times, let alone trying to settle into a new country, culture and way of life. My career experience to date has mostly been primate based alongside the native wildlife of the UK so it has been really interesting to start gaining experience with new species such as lion and cheetah. The first few weeks were a challenge with the predictable adjustment to the bacteria and viruses here and ended up having to go to a clinic to find out I had simultaneously got bacterial infections in my bowels and chest! Having lost 6 kg in 3 weeks I was feeling pretty dreadful but a course of antibiotics later and I was back to normal and fighting strong. I am currently looking after a young owl that was found in Addis in someone’s back garden and we are actually sharing a room in the city as there aren’t any other options away from the sanctuary itself. I will update about this with some photographs soon. It has been a couple of years since I last used this blog properly but I am back in action! I have started a new job with Born Free in Ethiopia. I am the Wildlife Care Manager and as such am in charge of the welfare of the animals held at the sanctuary, including prepping them for potential release. I also aid in the rescue of wildlife in need which can vary wildlife from an African lion to a tortoise. I am working with lions, cheetah, hyena, a variety of primates, antelope and birds of prey. The site is based in Holeta just outside of Addis Ababa and also acts as a wildlife refuge to native wildlife living in the area such as leopard, a healthy population or hyena, warthog and abundant array of birds. I will be updating this blog with tales from my adventures here! Stay tuned! As I apprehensively shuffled into the caged box, my gut clenched and my heart stopped…I immediately knew that I was in a bad place, and I desperately wanted to run straight back out and find comfort in my friends hiding out in the car. But something stronger told me to carry on, something told me that by enduring the next hour in this awful place I could find hope to make a positive change to the hell that I currently found myself encased in. 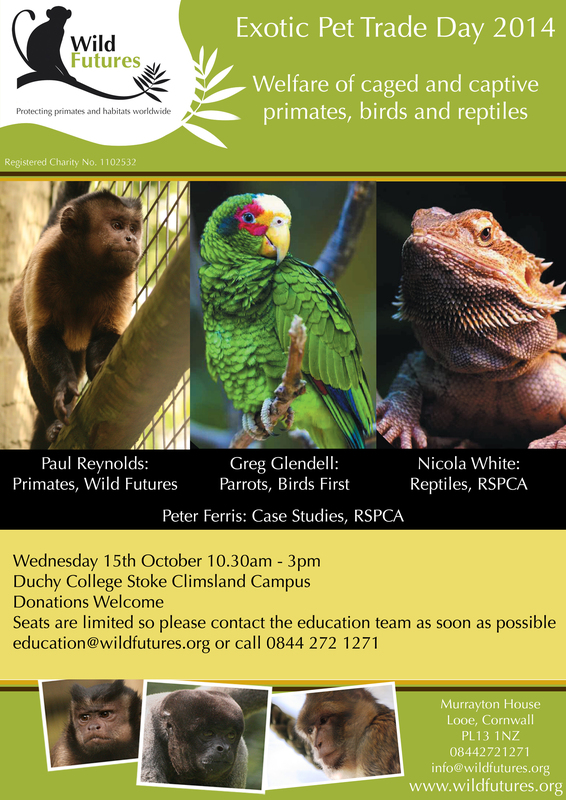 To clarify, the below event is designed to discuss the implications for welfare and conservation involved in the keeping of exotic pets. It is not in support of the exotic pet trade. We are celebrating our 50th year of rescuing monkeys from the primate pet trade here in the UK. What started with Woolly Monkeys at The Monkey Sanctuary back in 1964 has evolved into an international Charity, Wild Futures, which still rescues monkeys from the primate pet trade with it’s flagship project, The Monkey Sanctuary. 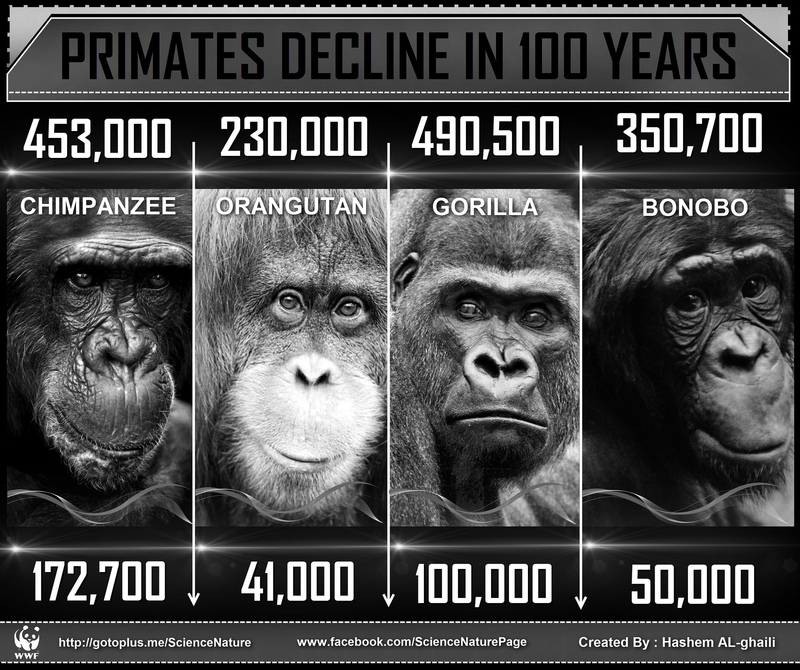 We also support primate conservation projects all around the world from North Africa to South America. As part of our 50th anniversary we are seeking to boost our social media followers on facebook and Twitter. To celebrate reaching 8000 fantastic Facebook fans, we’re giving away this beautiful, exclusively designed, silver monkey necklace! LIKE and SHARE this photo on our Facebook page. Winner announced Monday 12th May- Good Luck!